Japanese Tree Lilac This shrub is ‘Mountain Grown’ at Alpha Nursery and is an ‘Idaho Preferred’ Plant. the fragrance. Japanese Tree Lilac likes to be planted in full sun. The leaves are dark green and turn yellow in the fall. Japanese Tree Lilac attracts hummingbirds, butterflies and bees. It makes a great cut flower, so cut off some blooms and enjoy the fragrance indoors. 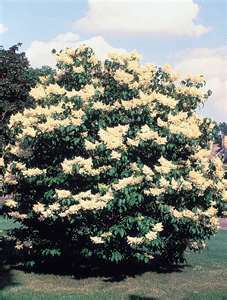 Japanese Tree Lilac is drought tolerant and a Firewise plant.